The secret to Chem-Dry’s clean is The Natural®, a cleaner which contains millions of microscopic carbonated cleaning bubbles. These carbonation bubbles penetrate deep into the fibers of the carpet and carry dirt and grime up to the surface. Then, we use hot water extraction to lift the dirty particles out of your carpets for good. This concept is a lot like the age-old trick of using club soda to remove a stain from a shirt. The carbonated solutions cleaning power creates a powerful reaction and deep cleans carpets and upholstery in a safe and gentle way. 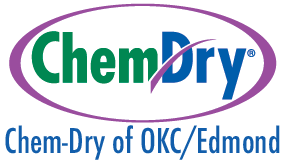 Through the use of carbonated carpet cleaner, Chem-Dry of OKC/Edmond thoroughly removes stains quickly and efficiently. 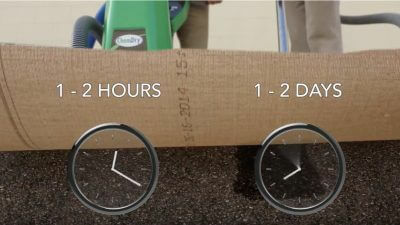 Our carbonated cleaner works from the bottom to eliminate stains, instead of driving stains deeper into the carpet only to crop up again later. However, if a spot does reappear, we will work until the problem is solved! We want you to be completely satisfied with your carpet cleaning!